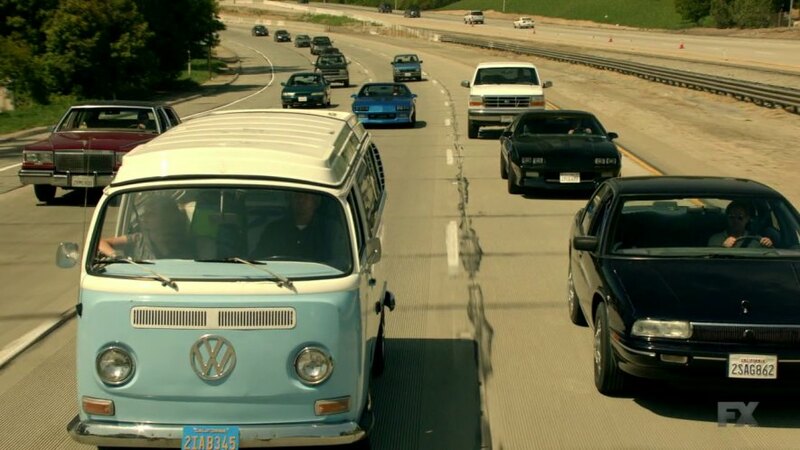 IMCDb.org: 1968 Volkswagen Campmobile [Typ 2 / T2] in "American Crime Story, 2016"
Could this be 1968/69 Volkswagen Campmobile Westfalia? Verified by the mirror. And again, no mention of Westfalia in the brochures? The song playing in this scene was Sabotage by Beastie Boys.